A still from the film Ten Years (2015). When Hong Kong was returned to communist China in 1997 under the “one country, two systems” principle, no one really knew for sure what would happen to this former British colony. The first decade after the handover was marked by doom and gloom, as the city plunged into a serious economic slump in the midst of a string of crises—the 1997–98 Asian financial turmoil, the 2000 dotcom meltdown, and the 2003 SARS outbreak. It started to regain its economic footing in the following decade, but the increasingly overt influence of Beijing—not just economically but politically and ideologically—heightened Hongkongers’ fear of and alienation from the mainland. The pent-up tension ultimately boiled over in the so-called Umbrella Movement in 2014, where mass pro-democracy protests shut down parts of the city for months and clashed violently with local law enforcement. Without doubt, the path taken by post-handover Hong Kong has been anything but predictable; what, one may wonder, will Hong Kong be like a decade from now? Ten Years (2015), a low-budget indie production that became a surprise box-office hit and was named the best film at the Hong Kong Film Awards, attempts to answer this very question. Comprising five episodes set in 2025, the film imagines a dystopian future of Hong Kong in which the semiautonomous territory sees its local culture and values being increasingly eroded under the tightening grasp of the Chinese government. 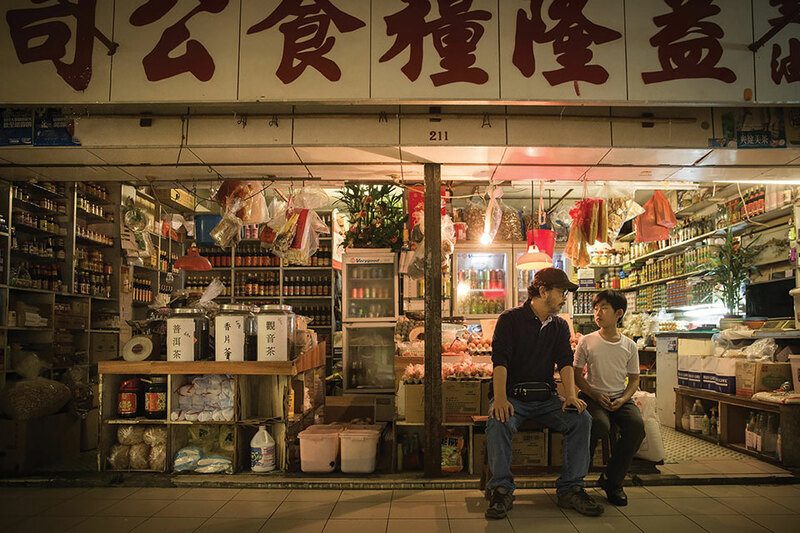 In one story, Mandarin—spoken by the majority in the mainland—has displaced the local Cantonese as the official language, marginalizing those who cannot speak it. In other segments, neighborhood stores are spied on and even vandalized by “youth guards” for using banned terms such as “local,” a young couple strives to preserve objects from bulldozed homes by embalming them, and an old woman sets herself on fire outside the British Consulate after the death of a hunger striker protesting for independence. These scenarios, seemingly far-fetched to some, are by no means made-up fantasies but are deeply grounded in the present and the recent past, touching on feelings of a fading Hong Kong identity that have been building up as the city moves ever closer to the mainland. Not surprisingly, the success of Ten Years, coming in the wake of the Umbrella Movement and the burgeoning discourses of Hong Kong’s self-determination and even independence, touched a nerve with the Communist government in Beijing, which denounced the film as a “thought virus” in the state-run newspaper Global Times. For many locals, however, the film offered an uncompromising expression that rendered tangible their deep-rooted worries and fears, urging them to rethink their past and present experiences and to rediscover them as part of a future trajectory. Man-Fung Yip is assistant professor of Film & Media Studies at the University of Oklahoma. He has recently completed a book manuscript entitled Martial Arts Cinema and Hong Kong Modernity: Aesthetics, Representation, Circulation.